We are very satisfied. The serviceman is friendly and competent.He is always here when he says he will be and our big problems have been eliminated. The pests are definitely under control. We live near woods in a damp area. The earwigs and ants are our greatest problems. Your chemicals keep us pest free. I'd click 5 stars except for the fact that I like to know ahead of time on what day and I you are coming. For some reason, I did not get the last schedule. Please make sure that someone calls and leaves a voice mail so that I'm home and ready for service. Thank you. I am very pleased with my service and my service person, Kevin. Terminal continues to call.....they had serviced this house for about 40 years and finally did me very wrong. I continue to remind them of this and tell them I will not leave home paramount. Thank you home paramount! We have used Home Paramount service for over three years with fantastic results. The service reps are very thorough, and the products seem very effective. The nature of our log cabin invites bugs - mostly stink bugs and lady bugs - but the product knocks them all out. All of the service reps we have had have been professional and personable. Our current rep, Tim, is great. We have been very satisfied. The tech was the best we have had. Very responsive, but the technician isn’t always properly prepared. Always happy with the service and happy with the techs! Home Paramount service people are usually prompt and always courteous, thorough, efficient, and knowledgeable about the pests they come to prevent or eradicate, as well as the chemicals they use. They are considerate of people and pets in the home and of household furnishings. Their quarterly treatments are highly effective, as are their mouse and termite deterrents. I highly recommend them; they rank among the best service businesses with which my husband and I have ever dealt, and Home Paramount has been serving us and our property for many, many years. Rep was very thorough and knowledgeable. Very professional serviceman. Very knowledgeable. Thank you. I am very happy with the service provided by home paramount. Always happy with the professionalism and knowledge of the staff. I an but wood roaches are ban if can spry out side extra good and shed seen 5 past do days coming in the back door and any extra thingsdo in th ground or spy ground between my place and place behind me where there come fromnwhere the. Very good and prompt service. Great customer service. Very polite and helpful. Have been a long-time customer and always satisfied. After initial problems with finding the correct house, technician is faithful with service and polite. Good service, nice technicians, bugs are gone! Yes service has been very good. Prompt attention when i have an extra problem. Professional service and my property is free from pests. The guy who comes here is very good and very friendly also. Great company. Very responsive to your needs. Very professional. 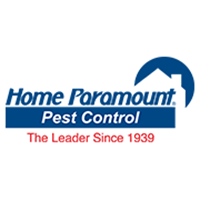 I have lived in many places across the US and had various Pest Control companies but I think Home Paramount has been my favorite. I have been very pleased with my service. Thank you. The technicians are always prompt,respectful and professional. They are very knowledgeable and are always eager to educate me if I have any questions. Thanks for taking such good care of our home and family. We are satisfied with the service provided and with Tim Steward who does the spraying. My technician is always on time, thorough and courteous. You solved our problem with critters--we've had no further mice or crickets--and we appreciate your good work. Really like each and every technician that comes to the house. They have been all kind, friendly, pays attention to detail. They were not frustrated because we had new accent rocks put around the house were the bait traps were. I have Terminex for one year and did not renew. Great office of people in Cumberland. As has been in the past, our technician did a great job; have seen no snakes and the "bug" population is down. Very Happy with our Service. The technicians always come during the time frame they say they will, are friendly and ask about any particular issues, and the products they use are great. When a problem arises between services (like bees, in my case), a quick call and they came and took care of things.